Transform your media back in time with ProKinescope all within Final Cut Pro X. With ProKinescope users can choose from a range of fully customizable classic tricolor styles, two tone styles, video alteration effects, glitches, and lens frames with vignettes. 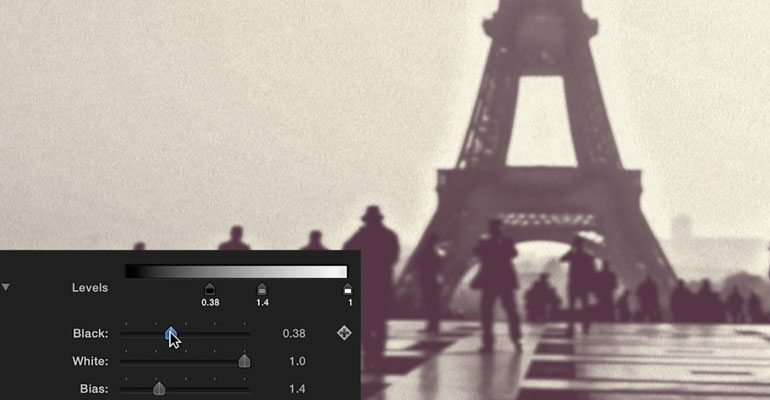 Users have full control over black and white color tint, tint intensity, contrast, levels, film scratches, video shift, lens blur, posterization, pixellation, and more with a click of a mouse. With ProKinescope users can select from a range of Tricolor styles, Two tones styles, and a range of effects such as fisheye, lens dirt, roll, scale randomization, static, and vignette wash. Users also have the ability to apply time adjustable title effect overlays and choose from a range of glitches and borders with vignettes. With ProKinescope users can now visually set their projects back in time and get that classic kinescope look with a click of a mouse all with in Final Cut Pro X. With ProKinescope users can fully customize each preset with a click of a mouse. Users have full control over black and white color tint, tint intensity, saturation, hue, contrast, brightness, levels, film scratch opacity, film scratch speed, film scratch scale, 4 individual layers of film scratch complexity, video shift, lens blur, horizontal and vertical shake, shadow radius, noise amount, pixellation, posterization and much more all within Final Cut Pro X. With ProKinescope users can apply an effect and then layer a title effect overlay in any place within their timeline, this gives the user full control over when and where they would like to apply a glitch or vignette. Users can alter each glitch’s noise type, noise blend, displacement, warp, shape, offset, randomization, jitter, and more. Users have total control over alterations to each effect style, glitch, vignette, and effect leaving the possibilities truly endless with a click of a mouse all within Final Cut Pro X.
ProKinescope was professionally designed to work seamlessly inside of Final Cut Pro X. As a FCPX Effect and Title effect overlay, each ProKinescope preset can be dragged and dropped onto the users media and previewed in real time. With the published parameters found in the FCPX inspector, users have the ability to make further adjustments with just a few clicks of a mouse. Learn how to create and customize your very own professional kinescope effects with the ProKinescope Lesson. 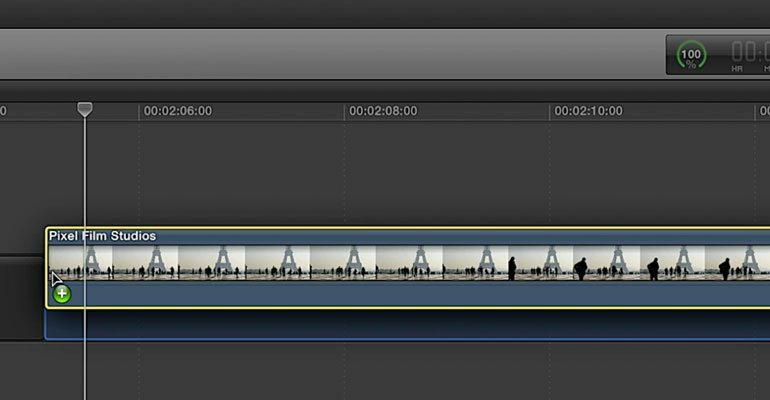 Let’s begin by selecting a clip or image from the FCPX Media library and dragging it to the timeline. 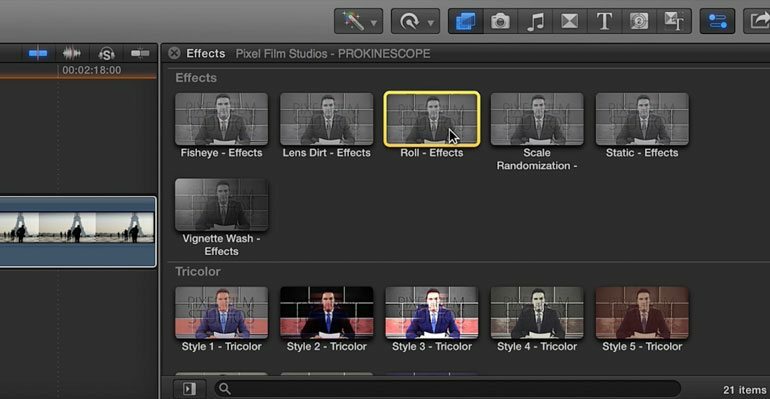 Then locate ProKinescope in the FCPX effects library. Scan through the variety of ProKinescope choices. For this example we will be using style 4 in the Two Tones section. Drag and drop the effect directly on top of your media. Once your Timeline is set up go to the Inspector Window. First let’s start customizing our color in the Color Controls section. Choose a color for the black to and white to options. Clicking the down arrow will give you Red, Green and Blue sliders so you can get the exact color you want. Next adjust the contrast and brightness sliders. After altering the contrast and brightness go on to adjusting the Levels. Clicking the down arrow will give you a black, white and bias slider. Alter the translucent areas of the key by making them more solid Lowering the white slider will make the mask more solid. Raising the black slider will make the key more translucent. Dragging the Bias handle right erodes translucent regions of the key, while dragging the Bias handle left makes translucent regions of the key more solid. Once you have the levels to adjusted move on to the Lens Imperfections section. Next begin adjusting the Film Scratch opacity, Film Scratch speed and Film Scratch scale in the Lens Imperfections Section. After making those adjustments you have the ability to customize the size for each of the four layer film scratches that will show up in your effect. The Video shift is a duplicate layer of your media which you can adjust opacity, position and blur amount. You can then adjust the lens blur amount as well as the horizontal and vertical shake. Then adjust the layers slider which allows you to control how many layers will be affected by the horizontal and vertical shake. You can go as high as 8 layers. 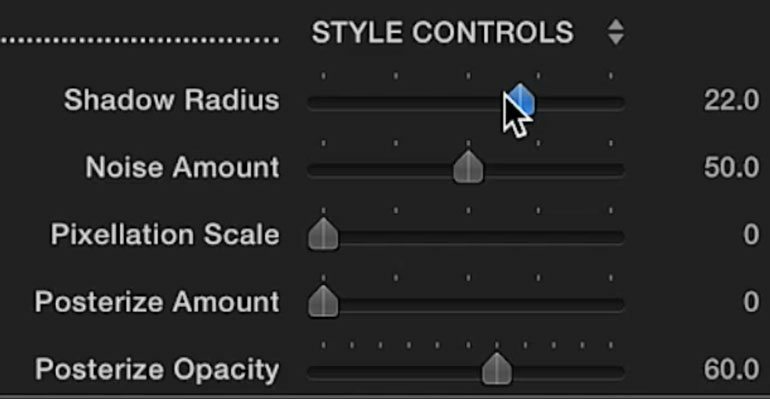 Once you have your Lens Imperfections adjusted move continue on to the Style Controls section. Start by adjusting the shadow radius and noise amount sliders. The Shadow Radius slider controls the distance as well opacity of the shadows in your media. Next adjust the pixellation scale, posterize amount and opacity. Now for some Final Touches. Take ProKinescope to the next level by 1 of the 6 effects. For this example we will be using the Roll Effect. Drag and drop the effect directly on top of your media. Go to the Inspector Window. You can choose to randomize all the sliders by clicking the generate button or you can customize each slider to your liking. Where do I find ProKinescope? 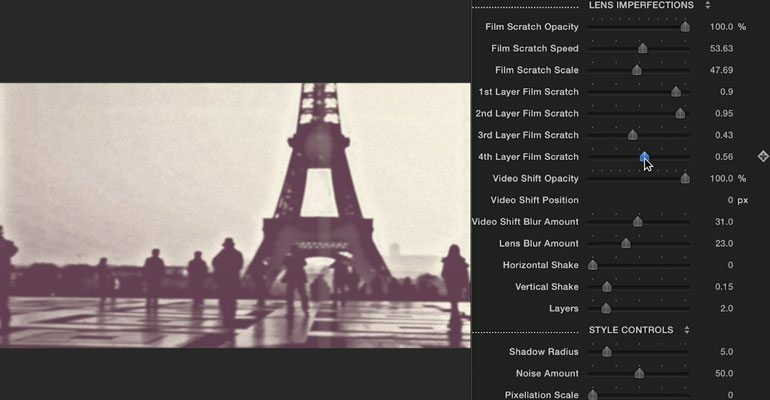 Once the installation is complete, you can find ProKinescope in the FCPX Effects library.